A moving tribute to marriage and lasting relationships in 2 flavors: frenetic drum&bass, and funky acid jazz. The song was commissioned by Mon Guinto for the birthday of his wife Karen in 2004. 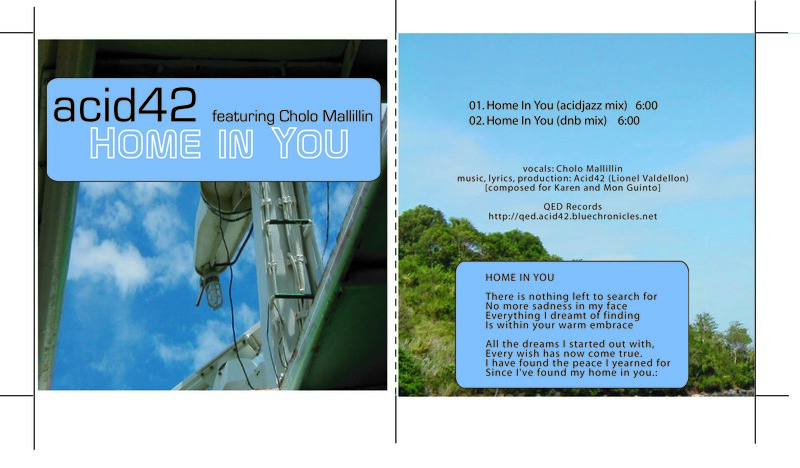 Lyrics, music and production by Acid42 (Lionel Valdellon) with vocals by Cholo Mallillin.